On the rocky peninsula at the southwest tip of England is a gorgeous slice of Britain: Cornwall. 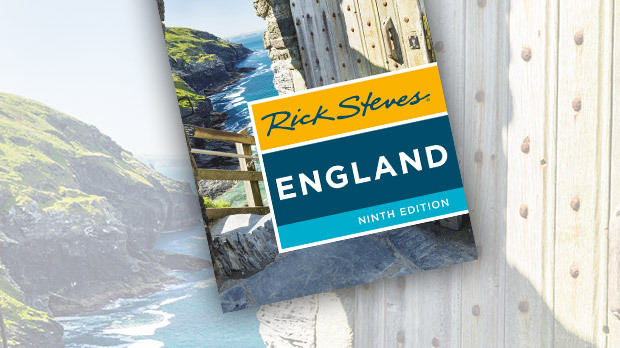 Harboring an endangered Celtic culture (Cornish), quaint coastal villages, a gaggle of visit-worthy sights, and a thought-provoking stone circle, it's one of England's most popular vacation regions — especially among the English. On a recent summer visit, perched on a seaside cliff in an open-air theater, I enjoyed a pasty (traditional pastry stuffed with stew) and bottle of local elderflower presse as I watched dolphins and seabirds diving for their lunch. My dramatically situated lunch spot at Minack Theatre captures the highlights of Cornwall: historic charm wedged in the striking English landscape. 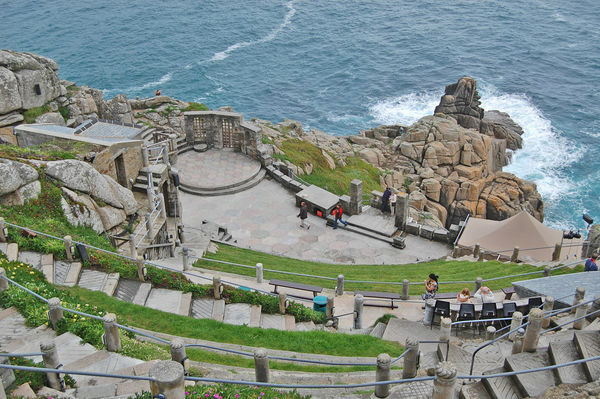 Every night during theater season, about 700 people gather here on seats carved into the rocky cliff hundreds of feet over the sea to enjoy live drama. Imagine watching The Tempest with only the sunset and crashing waves for a background, brushed by the winds of the past. You can visit the theater just to see it and take in the view. The rugged scenery and wild, uncultivated appeal of Cornwall evoke the feeling of approaching the end of the world (and many natives would say it's exactly that). The last native speaker of the Cornish language probably died in the late 1700s, but local pride is still strong. The welcome sign at the county border is in that old Celtic language people used to speak around here (as well as English). And, locals claim, had the Scots said yes to their recent referendum for independence, there would have been rumbling for greater autonomy here in this proud corner of Britain. Cornwall is chock full of history, claiming to have more prehistoric megaliths than any other region of England. Finding a remnant of lost civilizations that is older than the oldest Egyptian pyramid makes you want to just sit there in silence for a while and marvel. Also dotting the landscape are crumbling tin mines — the only remains of the region's tin-mining industry, which collapsed in the 1980s. These abandoned mines are reminders that, even in ancient times, Greek and Roman traders came to Cornwall for tin. Older Cornish natives can still remember being in their houses decades ago and hearing the miners working underground. 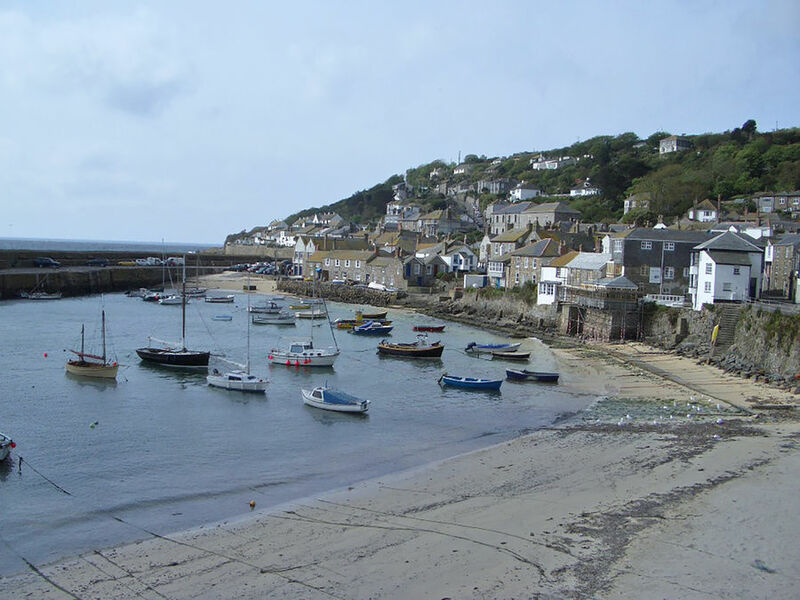 One of my favorite spots in Cornwall is the little fishing port of Mousehole, actually named for the tiny, mouse hole–like entry into its tough little harbor. There's a 25-foot tide here, so the boats lie beached in the harbor at each low tide. The arrival of the train made this distant part of England accessible to holiday-goers in the 19th century; a rock pool where the daily tide strands a world of fun little creatures is one of the little niceties built here to entertain Victorian aristocrats. In the bay across from Mousehole and the hub of the shipping port of Penzance is the rock island St. Michael's Mount. I like to think of it as the little brother of France's Mont St-Michel — just across the English Channel. Inhabited for about 1,500 years and originally a Benedictine monastery, St. Michael's Mount is a fun excursion today. After a short boat ride across the bay and a hike up steep and rocky paths to the castle entrance, I take in the grand views and feel as though I've trekked back in time to the Middle Ages. Visitors flock here for another reason: Cornwall's climate is unusually mild. The Gulf Stream brings warm, almost tropical weather — making it perfect for walking, basking on the beach, and generally enjoying life. Fishing ports thrive with mackerel, lobster, and crab, and farmers appreciate the bounty of arable fields. Among these fields are Cornwall's iconic and fearsome hedgerows. For a thousand years, the hardy Cornish people have been picking the rocks off their rugged fields and stacking them along their lanes. A stone framework filled with earth and made vibrant with a tangle of vegetation, hedgerows also function as wildlife corridors that originated 800 years ago. Built for horse and cart rather than cars, these hedges create a virtual tunnel through the rolling countryside. At the far southwest tip of Cornwall, tourists gather at the aptly named Land's End. Though overwhelmed with shutterbugs lining up for a picture with the famous milepost, it's a fun place to cry "Land Ho!" A short walk away from the commotion of tourist shops leads you to the real land's end. Within a few minutes, it's just you and nature. Whether you join in on the tourist action or seek tranquility in this "Garden of England," it's easy to get immersed in the rich history and remarkable scenery of Britain's rural Cornwall.